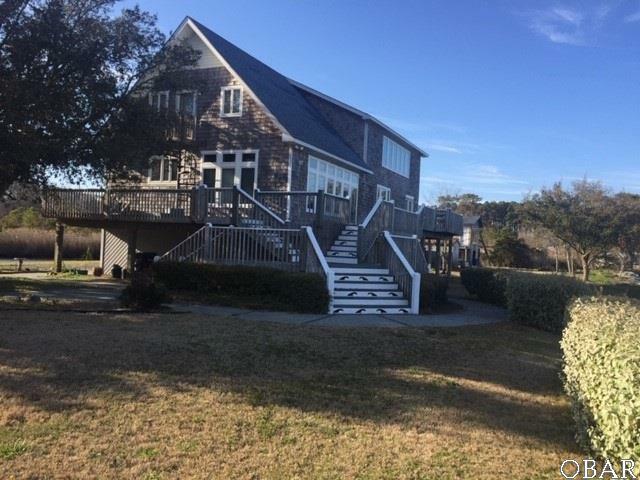 A very rare property with 378 feet of frontage on the Currituck Sound, a safe harbor canal and a boat ramp with ten permitted boat slips. Located on a dead end road for privacy. There will be an easement reserved on the south property line for access to the boat ramp and dock and ten slips.